Mouse-click on any photograph for enlargement. This effort was part of a larger journey collecting state, national park, and Canadian provincial highpoints in June 2008. The State Highpointers have decreed that Timms Hill is all one need visit. 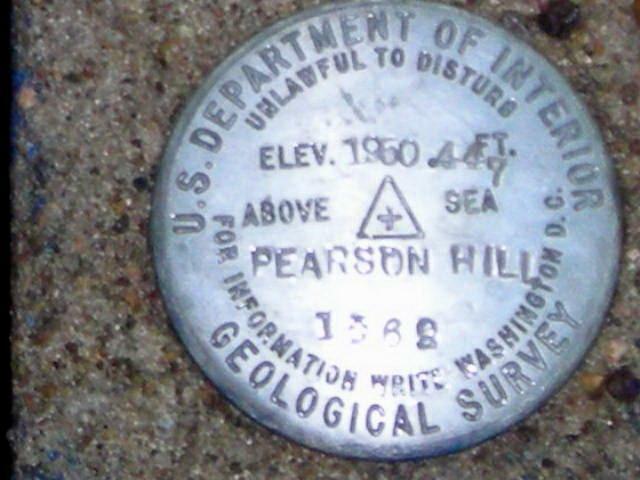 Given the closeness in Timms' and Pearson's elevations, this concept is not in the spirit of county highpointing practice wherein two summits within a foot elevation of one another would certainly both be visited for credit. Along the southeast shore of Bass Lake on County Road RR locate a gravel road at WGS84 (45.44634° N, 90.19005° W). Hike or drive this road east to just south of Pearson Hill, taking the left fork at a key junction halfway there. 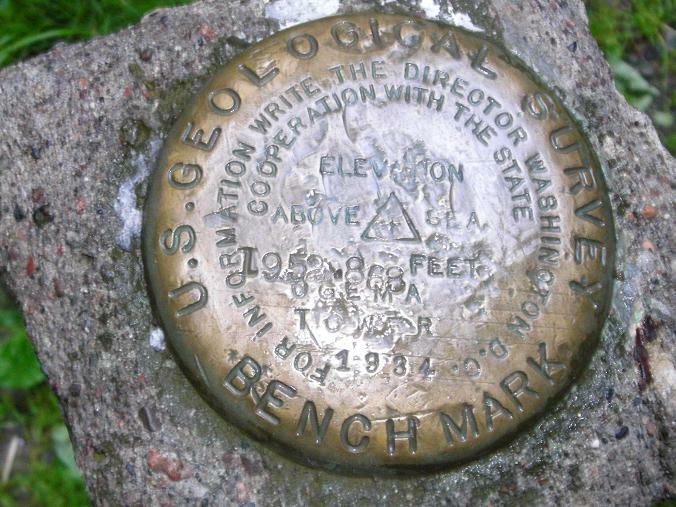 Hike northeast 700 feet to the summit benchmark. Andy Martin's book lists a third Price County highpoint. 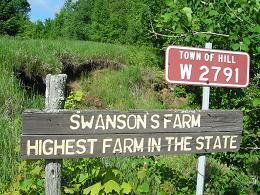 It is located on a farm that advertises itself as the "highest farm in Wisconsin" along the approach road. Access is on a gravel road south from Route 86, thence bear right and sharply uphill on a side road. The owner, a most kind old man, has plowed a walking path to the highpoint from his home. Walk southwest the 600 feet with some ten or twenty feet of gain to the highest ground. Bob Packard had visited both Timms Hill and Pearson Hill many years ago. However as my partner this third contour is new to him - and likely to highpointers in general. 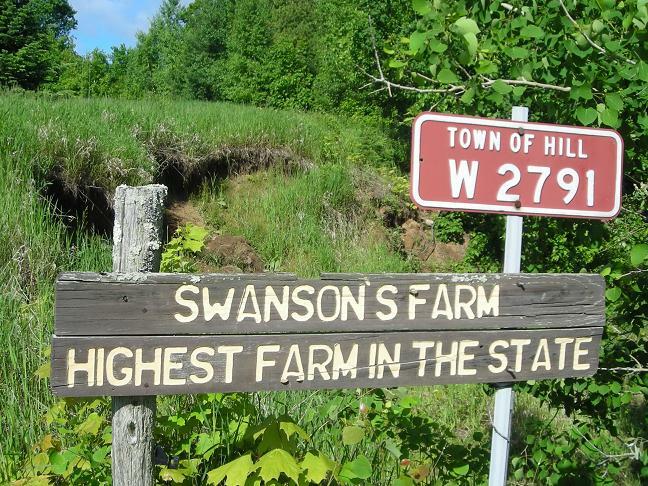 That the farm is not advertised as containing the highest point in Wisconsin is implicit acknowledgement that this third contour is not a true county or state highpoint contender.